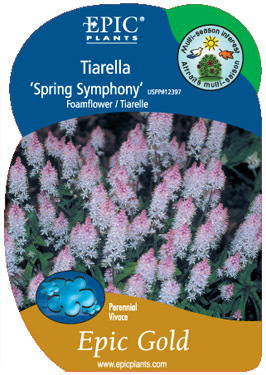 The acme of Tiarella breeding. Tall, dense spikes of fragrant pink flowers over top of finely cut foliage with black midribs. Compact habit. A sure classic. Asexual propagation prohibited.